Sam is a 5 year old male Springer Spaniel who came to the clinic with a very sore right ear. On examination it was discovered that he had a lot of wax and several small ulcers in the ear canal and the outer skin was very red and inflamed. 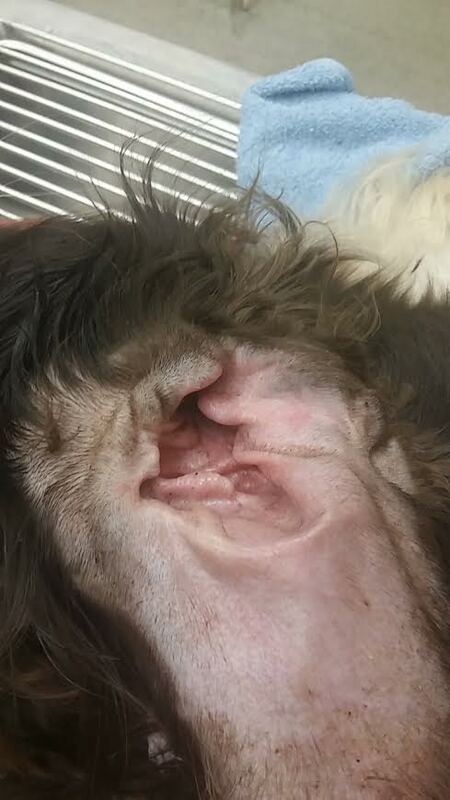 His left ear was quite normal. The vet recommended giving Sam medication to ease the pain and to re-visit for a general anaesthetic to clean the ear very well and then apply medication. On Sam’s return, he was given a general anaesthetic and his ear was clipped and cleaned on the outside, and the ear canal was flushed with dilute iodine to remove all the black wax. Once this was achieved, special ear gel was inserted deep into the ear canal after which Sam was allowed to wake up. A week later, Sam returned to the clinic for a check-up and re-application of the same ear gel. 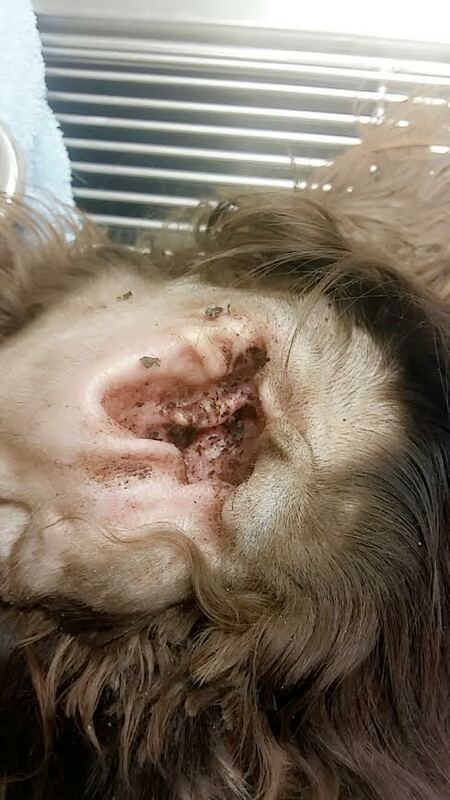 His owner said he was much happier and had no pain or sensitivity around his ear. On his final visit the ear had a small amount of wax in it and the vet recommended that Sam’s owner should clean his ears regularly with a special cleaning solution which would help to keep the wax from building up. Sam has lovely long hairy ears! And this along with the fact that he swims regularly can pre-dispose him to ear infections. Sometimes an underlying skin allergy can cause ear irritation or even a foreign body can make its way into an ear. Ear mites can lead to head shaking or ear scratching. If you think your pet has a sore/irritated ear(s) or if you want some advice as to how to help prevent ear problems, call the clinic on 061-419760 and we’ll be pleased to help.